Paignton Baptist Church | Discovering life to the full! Discovering life to the full! The Girls’ Brigade is a membership organisation that specialises in working with churches to provide fun and inspiring local groups (known as companies) where girls and young women can belong, achieve and discover Jesus! Here at Paignton Baptist Church our GB Company is primarily for girls and young women, aged 4 to 18, which meets during school term time, on Monday evening from 6:00pm in safe and friendly environment. All our leaders and volunteers are DBS checked and adhere to the BUGB safe-to-grow policy. 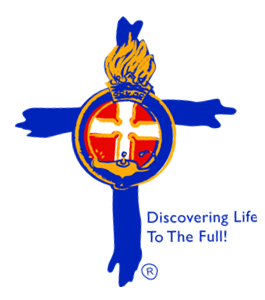 Seek, Serve and Follow Christ, is our Motto and the leaders at Paignton Girls Brigade seek to help the girls to fulfil our aim "to help girls to be followers of Jesus and find true enrichment of life". Our 4 - 7's ("Explorers") n:vestigate the world around them through subjects such as God's Family, Our food and Celebrations. We try to n:gage our 7 - 10's ("Juniors)" in issues such as Forgiveness, Friendship and Courage using people from the Bible such as Jesus, Paul, David & Jonathan. The 11+'s ("Seniors" and "Brigaders") n:counta life issues like Self-Esteem, Money Matters and Coping with Change through discussions, quizzes and games. The Brigade principles acknowledge Jesus Christ as Saviour and Lord according to the scriptures and seek to fulfill its aim to the glory of one God, Father, Son and Holy Spirit. The Brigade witnesses to the standard set by Jesus Christ and gives positive teaching on the Christian attitude to life. The Brigade promotes a just society where all people are equally valued. Paignton Girls’ Brigade also take part in activities such as Fun-Days, various outings and camps, throughout the year, along with other local Girls’ Brigades in the Devon region. To find out more about the Girls’ Brigade why not visit their national website. It's full of all the latest information on what the organisation is doing at the moment. If you are thinking of Joining our Paignton Baptist Company, then why not e-mail our enquiries, for more information, and we will get back to you with further details.